Addressing a rally in Dholka, Sidhu also lambasted PM Narendra Modi over the Rafale deal, unemployment and farmer issues. 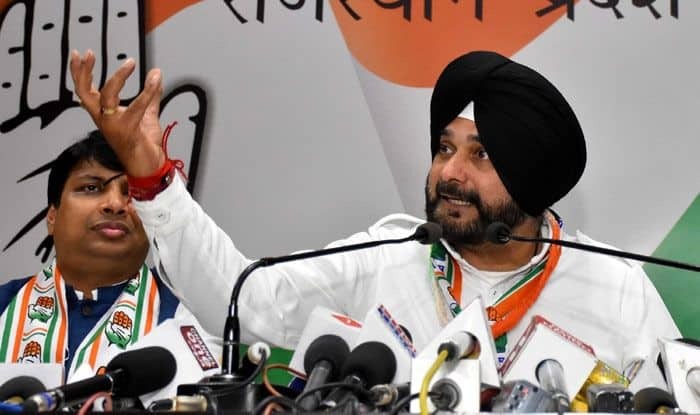 Congress leader Navjot Singh Sidhu on Wednesday said this Lok Sabha election was a battle between Lord Krishna and Kans, Ram and Ravan, and Godse and Gandhi. “China is building a railway line beneath the sea. US is finding life on Mars. Russia is trying to build an army of robots. And what is India doing? We are making a ‘chowkidar’ who is actually a ‘chor’ (thief). I am telling you that you are indeed a thief,” Sidhu, who is one of the star campaigners of the Congress, said. “You always talk about nationalism. Then listen Mr. Modi. This is a battle between Lord Krishna and Kans. This is a battle between Ram and Ravan. And, this is a battle between Godse and Gandhi,” he added. “Our Constitution says there should not be any discrimination on the basis of caste, colour and creed. It also says that no one should be subjected to discrimination on the basis of religion. But you are trying to divide the nation. And still you are claiming that you are a nationalist! What kind of nationalism is this?” Sidhu asked. “Instead of talking about mandir and masjid, we should talk about unemployment, farmers and poor people. But do you discuss these issues? You are just diverting people’s attention from these key issues. You always speak lies. I challenge you to have a debate with me on these issues,” he added. On the Rafale deal, the Congress leader said although Modi assumed office in 2014 as ‘Ganga ka lal’ (son of Ganga), he will have to vacate the office as ‘Rafale ka dalal’ (middleman of Rafale).